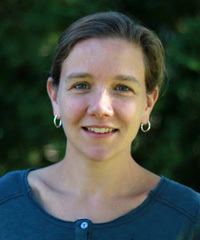 Prof Doughty's first book project, Remediation in Rwanda:Grassroots Legal Forums (University of Pennsylvania Press, Ethnography of Political Violence Series, 2016), was driven by an interest in understanding how the contemporary global preoccupation with law and human rights as universalizing frameworks for post-conflict reconciliation shape people’s own efforts to rebuild their lives in the wake of violence. The book examines the intersection of law, rights, and collective belonging in post-genocide Rwanda. It is based on 18 months of ethnographic research with grassroots legal forums in Rwanda, including genocide courts (gacaca courts) in which suspects from the 1994 genocide were tried among their neighbors before locally elected judges, as well as mediation committees for ordinary disputes (comite y'abunzi) and a legal aid clinic. Prof Doughty has also researched and/or written on memorialization and education in Rwanda, and on the International Criminal Tribunal for Rwanda. Prof Doughty’s current research project, Threats to Power: Cultural Politics of Energy and Unity examines the intersection of energy politics and post-genocide reconstruction in Rwanda through a focus on methane extraction in Lake Kivu. This research is funded by grants from the Wenner Gren foundation and National Science Foundation. Prof Doughty is also pursuing a new research project on mass incarceration in upstate New York, in collaboration with the Rochester Decarceration Research Initiative (RDRI). This project seeks to render visible how Rochester is in the center of the upstate carceral complex (16 minimum to maximum security state correctional facilities within a 2 hour drive), and to ethnographically examine how the presence of so many prisons shapes the cultural politics of the region, including local notions of justice, citizenship, and punishment. She taught Introduction to Anthropology at Five Points Correctional Facility in spring 2018 and at Albion Correction Facility in spring 2019 as part of the Rochester Prison Education Project. She and 7 co-collaborators were awarded a University Research Award for "How is Rochester a Prison Town?" for 2018-2019 to support this interdisciplinary research. 2016. Remediation in Rwanda:Grassroots Legal Forums. Philadelphia: University of Pennsylvania Press. Fortcoming 2019. "Captivity and its Unruly Failures: Cultural Anthropology in 2018" American Anthropologist 121 (2). 2017. "Sociality of Enforced Waiting in Rwanda's Post-genocide Legal Architecture” Political and Legal Anthropology Review. 40 (1): 122-136. 2017." Language and International Criminal Justice in Africa: Interpretation at the ICTR" International Journal of Transitional Justice. 2015. "Law and the Architecture of Social Repair: Gacaca days in post-genocide Rwanda." Journal of the Royal Anthropological Institute.21 (2). 2014. "'Our goal is not to punish but to reconcile:' Mediation in Post-Genocide Rwanda." American Anthropologist. 116 (4). 2018. "The Banality of Lost Guns: Producing Null Data Sets" Somatosphere Part of the series Notes on guns and violence. 2017. “Converting Threats to Power: Methane Extraction in Lake Kivu.” In Governance in the Extractive Industries, Lori Leonard and Siva Grovogui, eds. New York: Routledge. 2017. “Grassroots Law in Context: Moving Beyond the Cultural Justification.” In Culture in the Domains of Law, Rene Provost, ed. Cambridge: Cambridge University Press. 2016. “Interpreting Justice: The ICTR and Gacaca in Rwanda.” In Africa and the International Criminal Court: Perceptions of Justice. Kamari Clarke, Abel Knotternus, and Ava J.A. de Volder, eds. Cambridge: Cambridge University Press. Professor of the Year in the Social Sciences, awarded by University of Rochester Student Association, 2014.